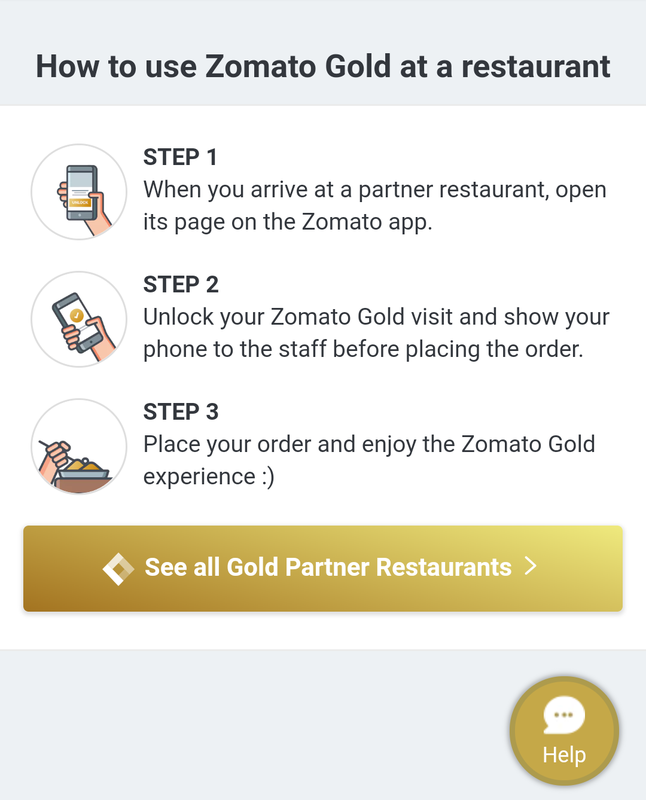 After Successfully launching Zomato Gold with 300 partner restaurants & Bars in UAE in march , zomato is all geared with the Gold in India and currently inviting sign ups for the same. This happens while you open up your zomato profile with an exclusive invite.The moment you click on being added for the same, you get a congrats message of being added as member. 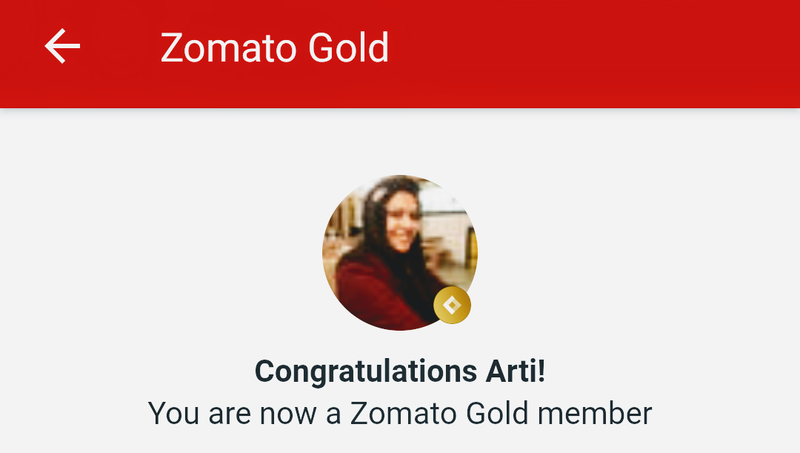 So what do you get if you become a Zomato gold member, well the answer is its a jackpot only where you are entitles for buy 1 get 1 on food & drinks. I am sure this rings bells for most of us. Enjoy a complimentary dish every time you dine out. Your membership will let you visit any of the Gold partner restaurants that you like on any given day/time, and you can visit each partner more than once. 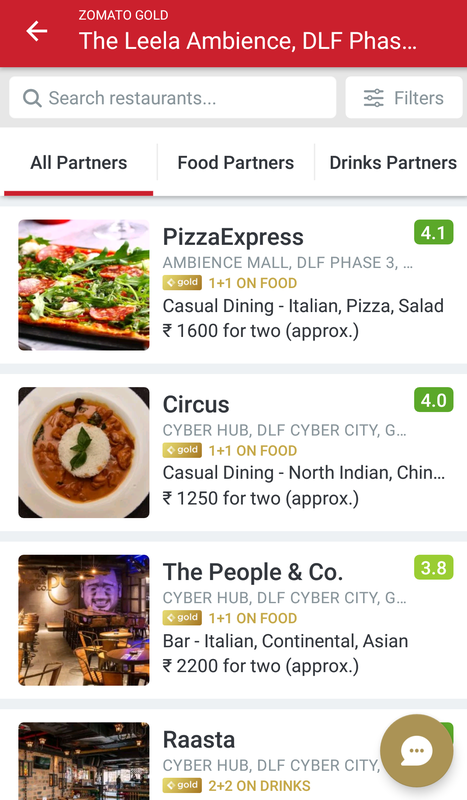 Zomato claims basis the announcement in March 2017 , Gold is ultra convenient to use – there’s no need to punch in anything on your phone or scan QR codes. 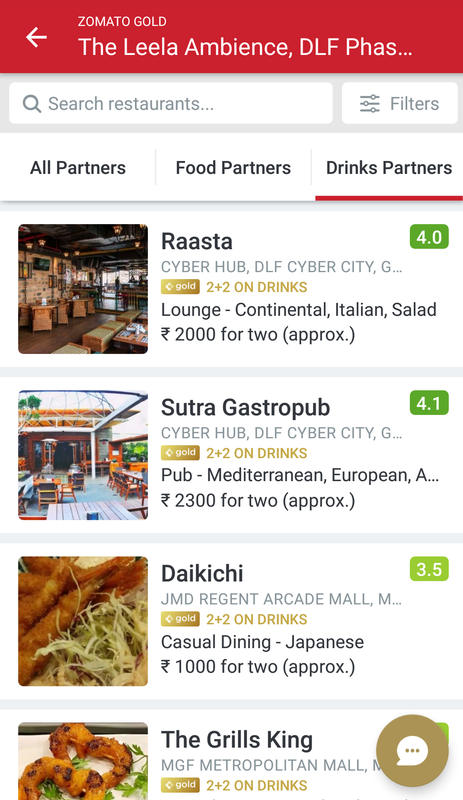 Just one tap on the partner restaurant’s page on the Zomato app, and you are all set. Want to know more on T& C for this membership , either visit site or just read it here. Each visit gets you up to 1+1on all beverages. You can also order a single beverage and get 1+1. Each 1+1 is valid on the same drink only. E.g. if you order a Mojito, you will get a second Mojito free. Only applicable on standard measure drinks i.e. 30ml for all spirits, pints and glasses for beer, wine, cocktails and other beverages. Not applicable on pitchers, buckets and bottle services. Sharing of drinks by multiple members per table allowed. In a day, you can unlock multiple gold visits, but only once at each restaurant. 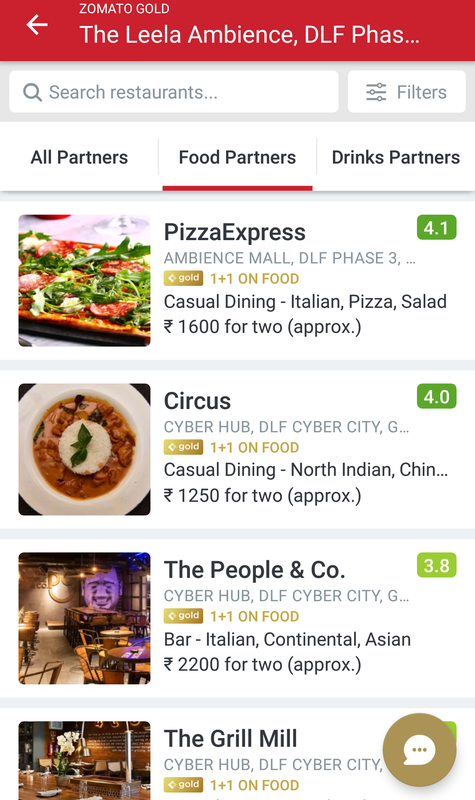 Zomato Gold visits cannot be combined with any other offer. Once purchased, this membership is non-refundable. It will be auto-renewed at the expiry of your membership plan. You can cancel your membership at any time before its expiration date. Any discounts on the membership are valid for the first purchase only. Renewal of the membership will happen at the original price. Zomato Gold is not valid on special occasion days – New Year’s Eve / New Year’s Day, Valentine’s Day, Eid Al Fitr, Eid Al Adha, National Day, Christmas Eve / Day. So this is how I got mine and this is all what it offers. Image courtsey : Zomato Website. Zomato has been horrible for my blogging ever since they bought out Urbanspoon, I don’t think this will help, even if it makes it to Canada.